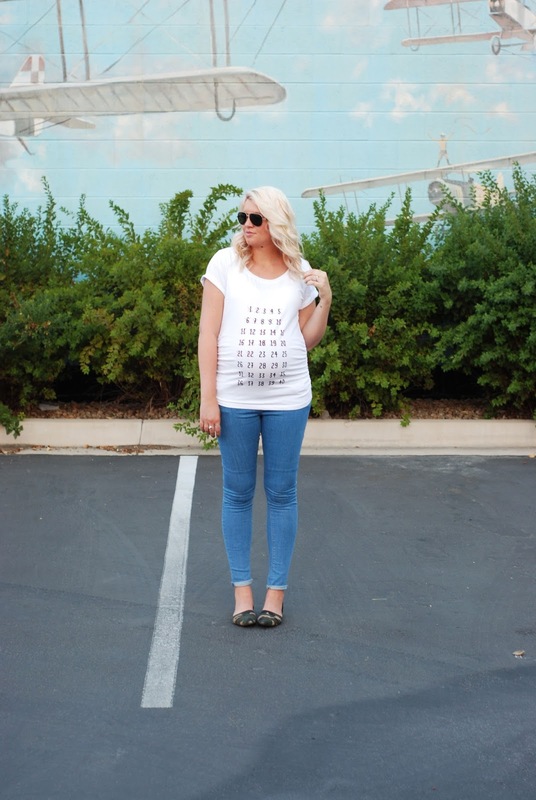 MATERNITY COUNTDOWN TEE + #WIWT LINK UP! 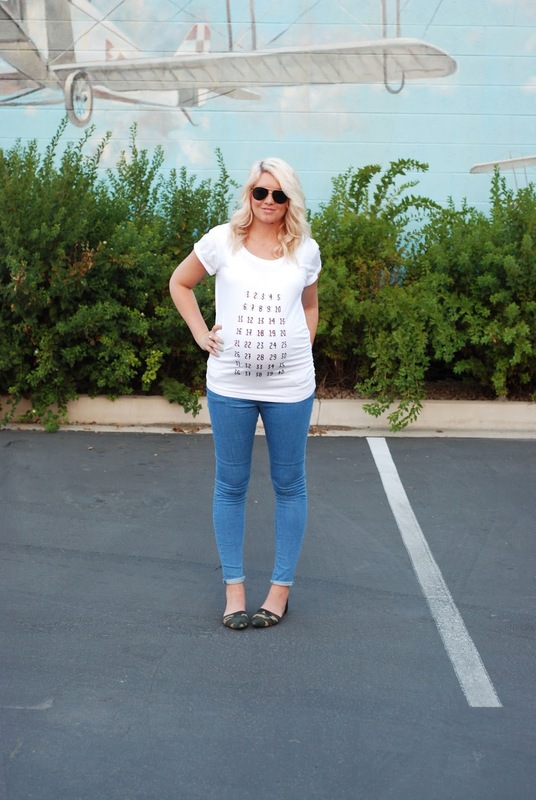 I just have to say this is the cutest maternity tee EVER!! 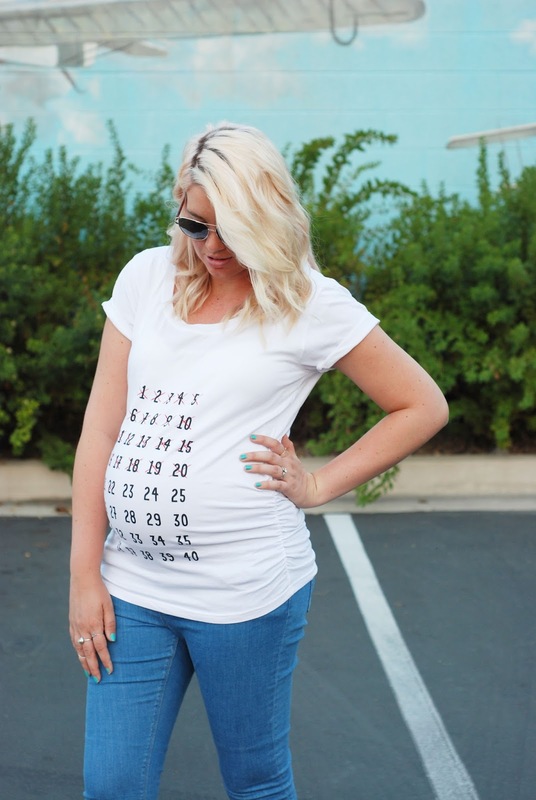 How fun is it to track every week on this cute tee?! AND better yet, maybe people wont ask me if i'm due any day now when they see only 22 weeks marked off. 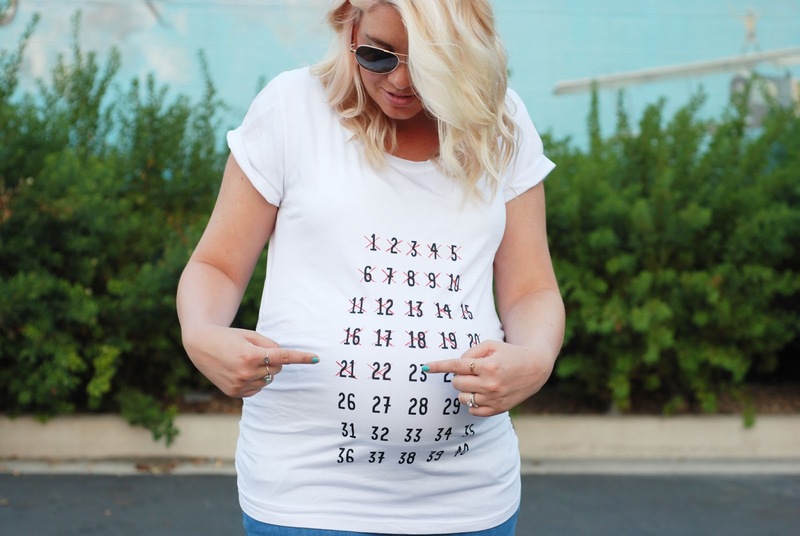 :) This would make such a fun gift too if you aren't pregnant. I have never seen anything like it! So ya know, check it out, get it for yourself or a friend! With fall coming, one of my favorite prints is camo! I love these camo flats, they go with everything and are so fun to add to a simple outfit like this one! I have shared a few below that are really cute! For all you link up babes... this weeks pick is.... Upbeat Soles! This outfit is so simply and soooo cute! I especially love the layered necklace details! Now come join me and Ashley from Twenties Girl Style!